Schneider Electric, the global specialist in the digital transformation of energy management and automation, has won the ‘Hyperconverged Innovation of the Year’ Category at the Storage, Virtualization and Cloud (SVC) Awards 2017. The award, which was announced on December 27, 2017, was decided by popular vote, demonstrates the company’s commitment to innovating technologies that support the adoption of both Edge and Cloud Computing, as well as meeting the challenges of Big Data and the IoT. Schneider Electric’s Micro Data Centre solutions enable the on-premise element of hybrid IT and edge data centre architectures to be deployed securely and scalably in any environment. They can be customised to fit specific space constraints, and also built to withstand the specific environmental considerations of individual end-user applications. So what exactly is a Micro Data Centres? Here is an example of what a Micro Data Centre looks like. 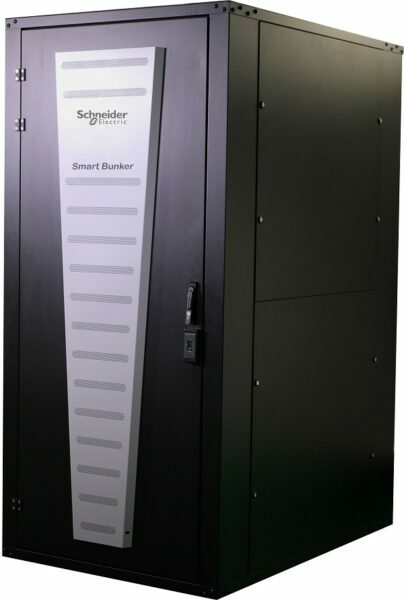 Micro Data Centres form a key part of Schneider Electric’s recently announced EcoStruxure™ architecture; an open, interoperable, IoT-enabled system architecture delivering enhanced value around safety, reliability, efficiency, sustainability, and connectivity for customers. Throughout 2017 Schneider Electric announced a number of key Alliance Partnerships with industry-leading vendors, which have become instrumental to their micro data centre and hyperconvergence capabilities. Customers within this space will often determine which products comprise the stack and need to be reassured that the technology will work immediately as promised, without interruption to service or downtime. This award serves to prove Schneider Electric commitment to providing reliable Micro Data Centres and all the essential infrastructure to ensure 24/7 business critical applications availability.